Hi! What's up with you guys? I've been gardening, hanging out with my new chickens and working. Yesterday Alex and I went strawberry picking at a farm near our house. It was hot! We picked about seven pounds of them. 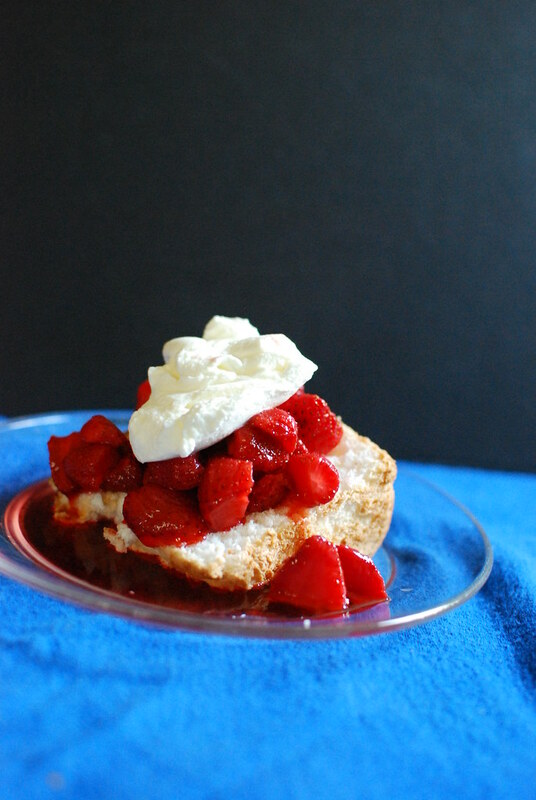 My favorite thing to do is eat strawberries with angel food cake and whipped cream. 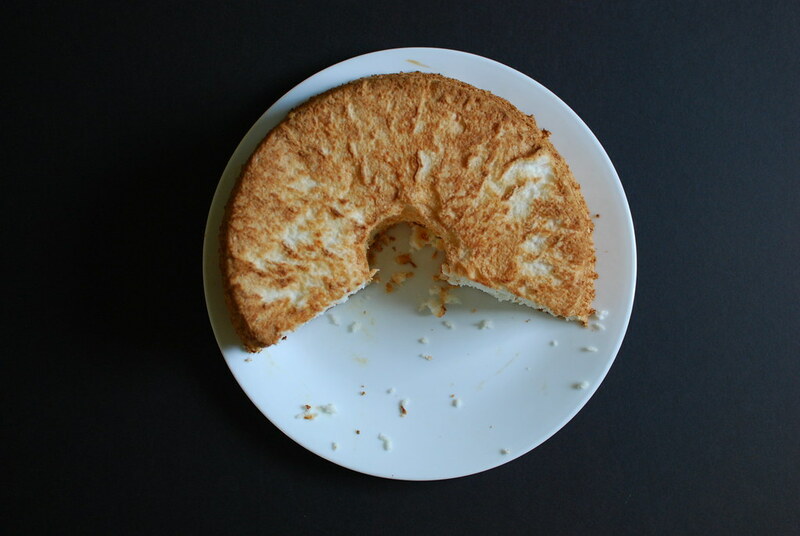 I posted about angel food cake before, but it was a bunch of years ago. Let's refresh our memories, huh? Preheat oven to 350. Sift together the rice flour, xanthan gum, salt, and 3/4 cup of sugar and set aside. Combine egg whites, water, lemon juice, cream of tartar, vanilla and almond extract and beat at medium-high speed until the mixture increases 4-5 times in size and holds a very soft shape when the beaters are lifted. Beat in the rest of the sugar, a tablespoon at a time, while mixing on medium high speed until almost stiff. Sprinkle the flour over and fold in, then spread batter in a 10 inch tube pan and bake 35 minutes. As soon as the cake comes out of the oven, turn the pan upside down to cool. 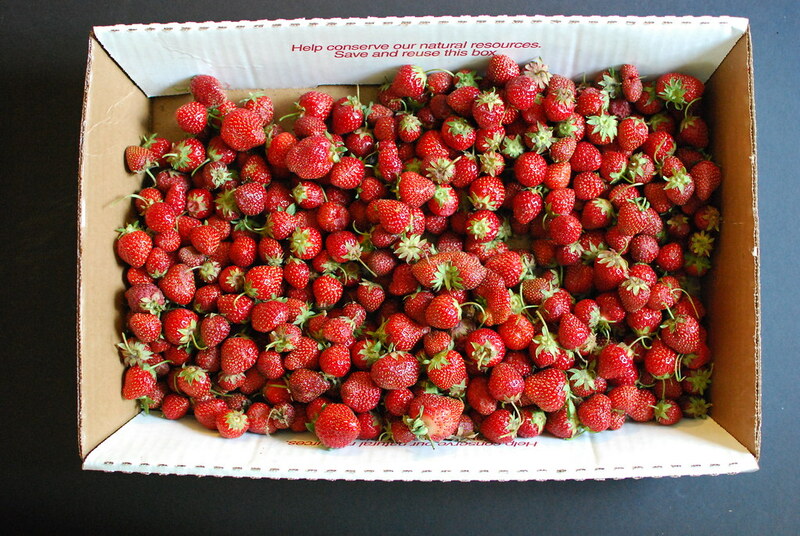 For the strawberries, hull them and cut them in half. Toss with a tablespoon of sugar or so, let sit for a while so the juices come out. If you're allergic to raw fruit like I am, stick the strawberries in the microwave for a minute or two. To make whipped cream, I usually use a Blender Bottle. 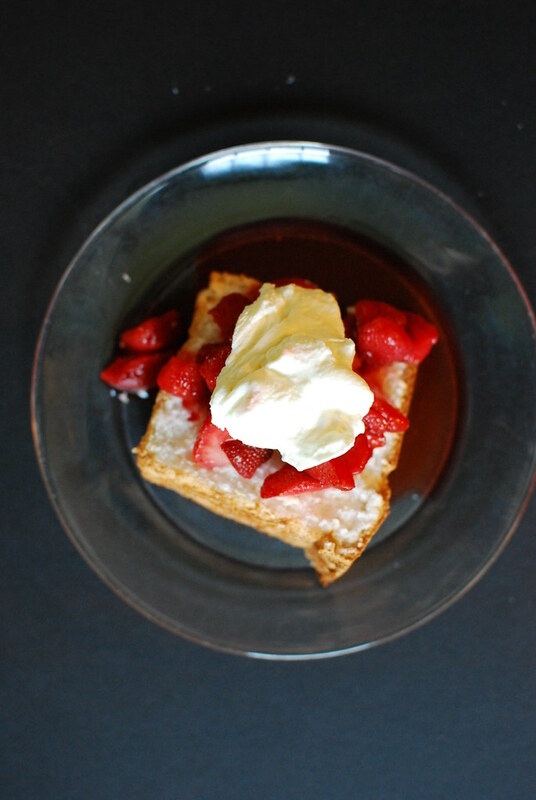 Put in about a cup of whipped cream and about a tablespoon of sugar and a splash of vanilla or rum, and shake until thick. Don't shake too much or you'll have butter. Happy to see you posting again!